In 2- to 3 1/2-quart slow cooker, mix all ingredients. Cover; cook on Low heat setting 6 to 8 hours or until very thick. Cool about 2 hours. Spoon chutney into container. Cover and store in refrigerator up to 3 weeks or in freezer up to 2 months. Potassium can blunt the effects of salt on blood pressure. 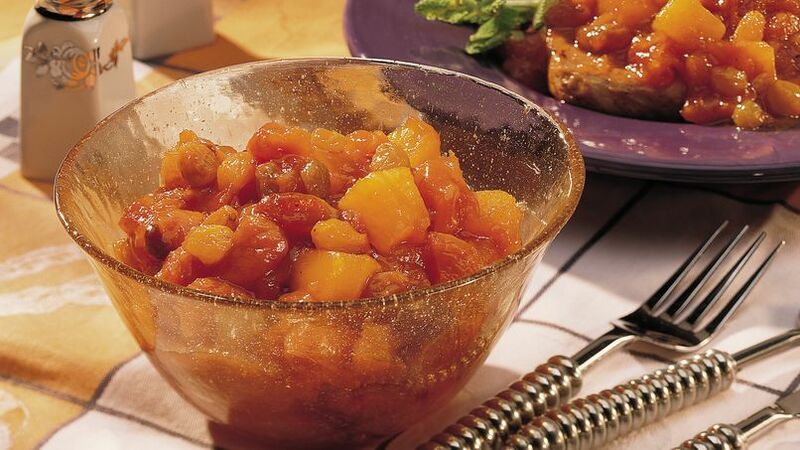 Good sources of potassium include bananas, raisins, tomato sauce and winter squash. Fruit, vinegar and spices blend to make a delightful condiment to serve with meat, poultry, fish or cheese.